I'm a great believer in the "blink test" - that is you pretty much make up your mind on something in the first five seconds you see it. That doesn't mean you won't change it but it is generally pretty rare for you to do so. So what do I think about the new VCs? Well generally I think that they split fairly evenly into the good and the not-so-good. I really like the Vargheist models but dislike the Crypt Horrors from the same sprue. Again I think this is a case where they have attached an add-on to a primary model. The Crypt Horrors look like 3-ups of the Ghouls and both model (and as you'll see gamewise) I think they add little. Next cab off the rank is the Black Knight/Hexwraith box set. This set is by far the best value kit in the release - 5 Cavalry models for $60. Again however one part of the kit is far superior to the other. In this case I think that the Hexwraiths are truly f-ugly models that were the after-thought. Can I see myself using them....well the rules will have to be pretty good. Then we have the Coven Throne and Mortis Engine. Of the two I prefer the Engine as it looks more cohesive as a model. That is not to say I think it is a great model but the Throne really suffers from a lack of cohesiveness. Parts of the Coven are beautiful but overall the model looks like a bad mash-up. The best model by far is the plastic Wight King. GW have made an instant classic here with a characterful and much needed addition to the range. Dangerous to comment too much without reading the book fully, but I have a couple of initial comments. I think we'll see a lot more Mortis Engines than Coven Thrones. The rules for both are in the White Dwarf and for me the Engine scores as it is a force multiplier for the VC army. The Blasphemous Tome (+2 for Lore of Vampires, Miscast manipulation), Reliquary (EotG Burning Alignment-type attack, Regen Enhancer) and Banshee Scream mean that this will be a compulsory item - at least initially. The Throne's rules are far more situational and nowhere near as "useful". However for me the big thing with the book is that they haven't really answered the question "Why wouldn't you take Ghouls as your Core Points allocation?" Yes the points have increased but even the reduction in skellies points or increase in Str and To of Zombies means that you are unlikely to see them replace Ghouls. I believe Ghouls can't be increased to more than starting size (yes?) but I think the block of 40 will remain standard in most armies. Can't wait until Saturday when I get to fully digest book. Make no mistake, this is a critical book and important for long term Warhammer health. The new VC represents the first opportunity to dial back the power creep that created 7th Ed's "Big Three". I hope GW have used this opportunity wisely. From first apperances they missed the boat with the dialing back... Although the coven throne/Mortis engine appear to have been refined to well pointed/balance items, not so for some of the other things. 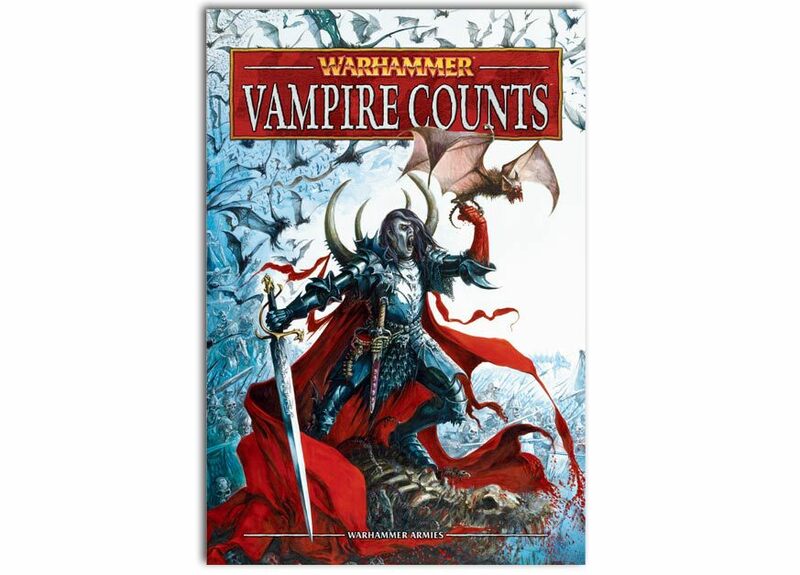 One simply needs to compare the points and rules for crypt horrors to Ushabti, or the special rules allowing vampiric undead to march key units, or the abilities such as reroll 1D6 of winds of magic, or the regererating bubbles in addition to raise dead spells, not to mention healing of characters and it is fairly simple to see the book is not "balanced" with that which has come before. both 6th and 7th ed, started to power creep around book 3 and 4. 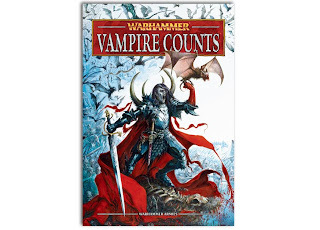 I held high hopes for 6th ed, but they where crushed when VC's came out, book 4 from memory. Never held out much hope for 7th, as it was lumbered with unbalanced 6th ed lists. Well I think the balance currently - excluding special characters - at 2400 points is pretty good. The DoC and Dark Elves books are clearly top of the heap if you have no comp and 5-6 round tournament. The old VC were a dull points denial army. I'm hoping that we see wider variety in the list design with this book and it be at or around the level of the three 8th Ed lists. As yet I think it is too soon to know if it has achieved that. There is a tendency at the outset - I know I do it - to only see the strong options in the list and go "OMG SUXXOR BROKN" but when you sit down and try to put the list together you see that you can't fit everything in and have a viable army. Here for instance although the Engine looks evil it is only a cannon shot from "goneski" and if you play TLOS i.e. the rules you ain't hiding that model. All fair comments Pete, as of today DE are book with the most issues, some brought about by 8th Ed rules, not the book itself. Daemons have always been hard, but a tad fragile, going back as far a 4th Ed at least. Nothing I know about the new VC's fills me with dread, they look solid with some toys. Really really hoping its a list that provides variety and is competative without being overly so. 2. list still lacks shooting so is reliant on combat and magic. So no real answer to bloodthirsters etc and a bit one dimensional. 4. core will remain a big waste of time. It was in the current book and 5pts for skellies has hardly gotten them popular with TK it wont work for VC. Ghouls... 8pts, remove bs item combos and they would have been about right. Now they are as expensive as witch elves and more expensive than HE spears... I also have to agree that big blocks wont be going away there for a while. I have been playing VC for a while now and will get the book, love the models, and am positive they will be a great army. I want to try something without immune to psych for a while so wont be continuing them for a little while but to me the book is actually looking about right from a competative perspective. Oh and keep up the good work Pete - loving your blog.